Ahhhh, I love this one! It is simple but perfect! We made it for another friend of the family. He is a big Georgie fan. It's a vanilla cake with vanilla pudding in the middle. It's covered with whipped cream. 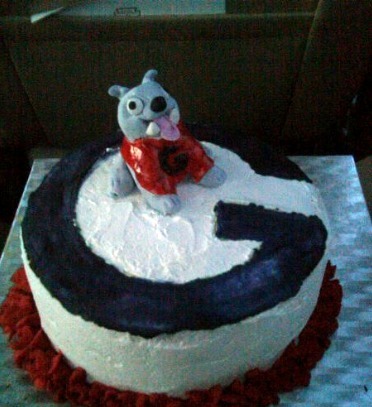 I sculpted a Georgia bulldog with his own Georgia jersey!